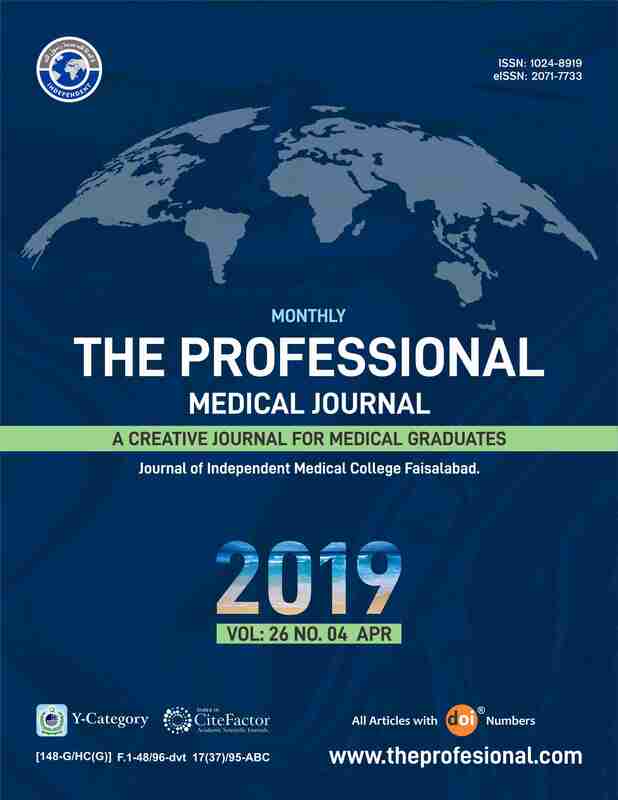 The Professional Medical Journal (TPMJ) is a monthly journal for medical professionals. It is non-political, being published for improvements and sharing of the knowledge in human sciences. It is hoped to improve the understanding of disease and care of ill & ailing people. All manuscripts are subjected to extensive review by a panel of national & international referees. Acceptance of manuscripts depends on their quality, originality and relevance to the Journal’s scope. TPMJ is an Open Access medical journal. Every boday is allowed free access to all parts of its publications.